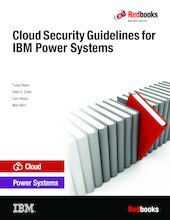 This IBM® Redbooks® publication is a comprehensive guide that covers cloud security considerations for IBM Power Systems™. The first objectives of this book are to examine how Power Systems can fit into the current and developing cloud computing landscape and to outline the proven Cloud Computing Reference Architecture (CCRA) that IBM employs in building private and hybrid cloud environments. This publication is for professionals who are involved in security design with regard to planning and deploying cloud infrastructures using IBM Power Systems.